What happens when you invest in employee wellness? Workplace wellness programs help to create healthier work environments where new norms shape behaviors and people feels supported. There is a long-standing debate about the ROI (return on investment) of wellness programs and the discussion typically centers on cost savings and getting the buy in from the CFO. But these conversations miss the point—while ROI is important, workplace wellness programs are all about employees. 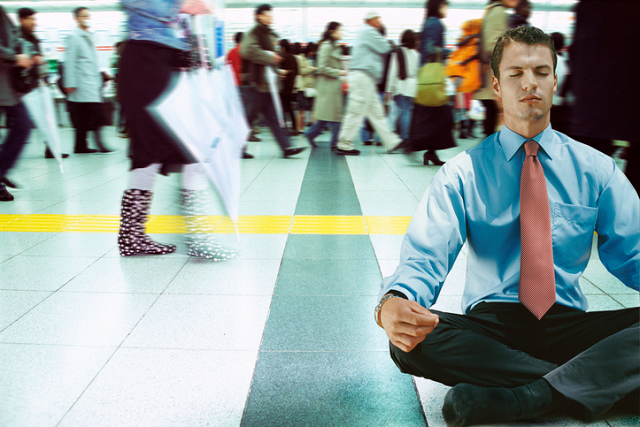 Wellness programs really need to impress the CHRO (chief human resources officer). HR wants to know what these programs can do for employees and how they can inspire and align the workplace. They want to know wellness is not just another benefit employees will never use. Related: Are Wellness Programs Right for Your Company? HR’s dream is to have close knit teams that work together effectively in a supportive environment. Unfortunately, that dream is far from reality. In a 2015 Mental Health America report of nearly 2,000 respondents, an alarming 80% said they tend to work alone because of an unhelpful or hostile work environment. What’s more, among the 2,175 US hiring and human resources managers surveyed by CareerBuilder in March 2015, 37% said office gossip was a top productivity killer. So how can HR turn gossiping coworkers into a supportive team? With workplace wellness. Fun social wellness challenges—including everything from getting steps together to volunteering to holding innovation sessions—can bring teams closer together, rally everyone around a common goal and improve workplace relationships. In fact, "The State of Workplace Well-Being survey" conducted by my company, Limeade, found that 52% of participating US organizations use competitive team challenges in their programs. Team challenges help employees to get to know one another better and allow them to work together in a more social setting. In addition, 39% of organizations surveyed in "The State of Workplace Well-Being survey" said they use social sharing in their wellness programs. That means the team building is not limited to competitive challenges. Peers can share their goals, cheer each other on, answer questions and offer support as they go through initiatives together. As employees work toward improving their health, well-being and work relationships, workplace wellness programs also help to create healthier work environments—places where new norms shape behaviors and people feels supported. Workplace wellness does not just improve relationships between employees. It also helps improve trust between employers and employees. And these relationships need a lot of help. In a survey of more than 800 full-time, US employees conducted by Globoforce in November 2015, 47% said they do not think their company leaders care about and actively try to create a human workplace. What is more, in a 2015 survey of close to 800 North American employees conducted by Achievers, just 45 percent said they trust company leadership. Without that trust, employees are more likely to be disengaged from their work and to look for a new employer. Trust is key to getting the emotional connection to work, which is at the core of all business success. When employees feel like their employer cares about their well-being, the impact is powerful. A 2015 survey of nearly 2,000 US employees conducted by Quantum Workplace and Limeade found that respondents were 385 more engaged and 18% more likely to go the extra mile when they felt their employers cared about their well-being. Employees were also 28% more likely to recommend their workplace to others. Lower recruiting costs, anyone? Workplace wellness programs help employees feel like their leaders and employer genuinely care about them. Investing in their health and well-being makes people feel valued and that goes a long way. The company mission and values are meant to lead the organization forward, drive behavior and remind employees what they are working toward. But there is a huge disconnect. According to the Achievers survey, 57% of employees said they are not motivated by their company’s mission. And when employees do not feel like their work has meaning, they are less motivated to do it. That means decreased productivity and engagement. Well-designed workplace wellness programs should reinforce the company mission and values at every turn, orienting newbies and reconnecting veterans in need of a boost. Promoting community charity walks, races, and other events reminds employees that work is a community, not just a paycheck. Allowing employees’ time for volunteer activities of their choice fosters autonomy, renews a sense of purpose, and provides a jolt of motivation. Typical wellness programs only include physical activity. Programs that serve as a hub for everything CHROs dream about—volunteering, referrals, team building, culture, and energy—is the key to an inspired and aligned workforce.